This unique formula will help even skin tone while reducing the appearance of aging. Due to sun exposure and the overall effect of aging, your skin loses its uniformity, resulting in an uneven, imbalanced look. 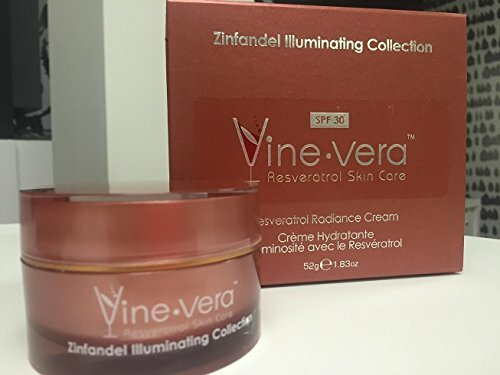 Resveratrol Radiance Cream will help reduce the appearance of dark spots and uneven skin tone with derivatives of vitamin A (Retinyl Palmitate), vitamin E (Tocopherol), Green Tea (Camellia Sinensis Leaf Extract) and Resveratrol.